The SS Jack the Cat is another miniboat built by the Marine Tech students at CFCC. It follows many other drifters and boats launched over the years by Jacqui Degan students. 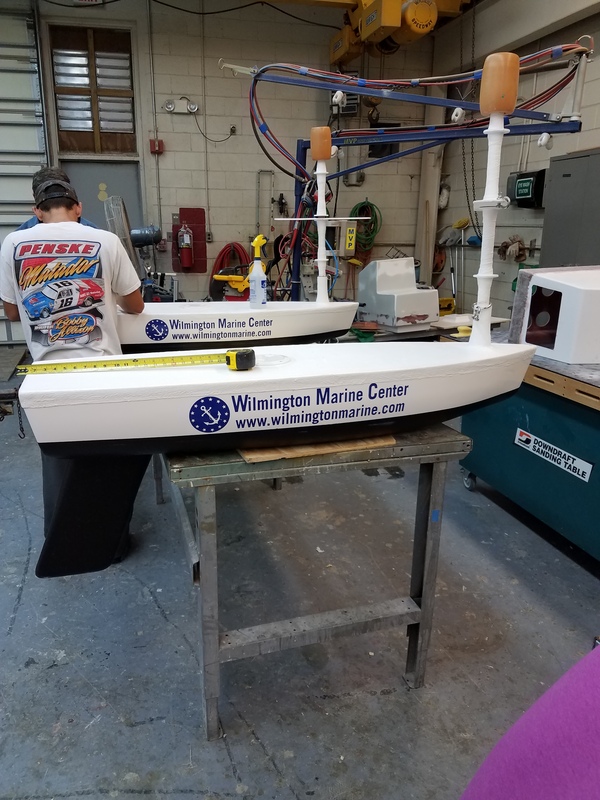 This is a joint effort between Cape Fear Community College’s Marine Technology and Boat Manufacture and Service programs, and the Wilmington Marine Center, whom donated money to purchase two transmitters (the second miniboat will be deployed during our fall cruises). As usual, this one was deployed by the R/V Cape Hatteras in the vicinity of the Gulf Stream with help from Captain Bobby Daniels.